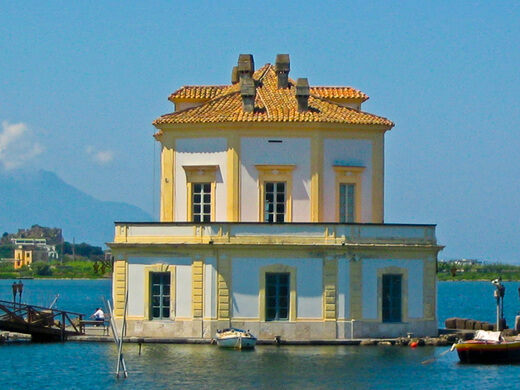 The Bourbon royal family had this unique octagonal hunting "cottage" built on a tiny islet in Lake Fusaro. 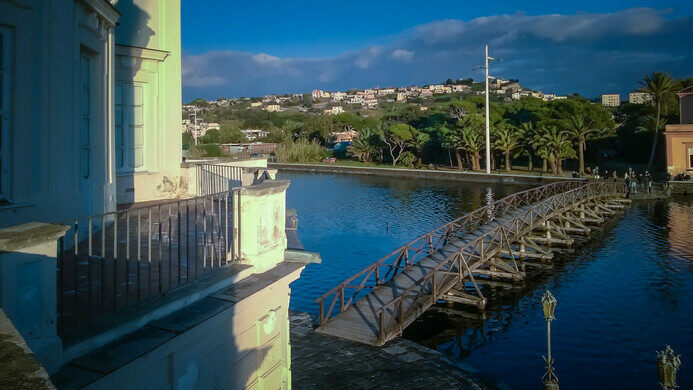 Lake Fusaro was once a swamp, until the 18th century when it was used to cultivate mussels and oysters. 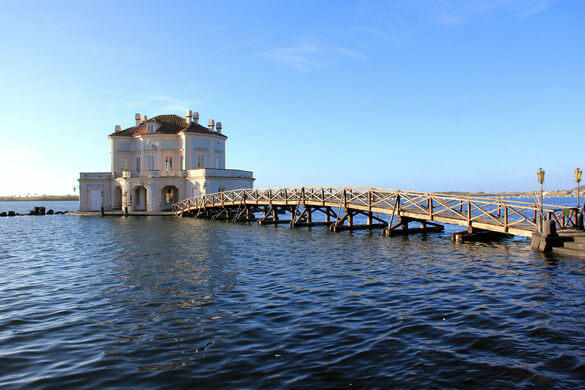 Under the Bourbon King of Naples, Ferdinand IV, it became the private hunting and fishing reserve of the royal family, who built this impossibly charming hunting lodge on a tiny island on the lake. Completed in 1782, the hunting lodge is composed of three intersecting octagons and almost looks like a pagoda. It was built on a preexisting islet that formerly housed an old building used as a storage room for fishing equipment. 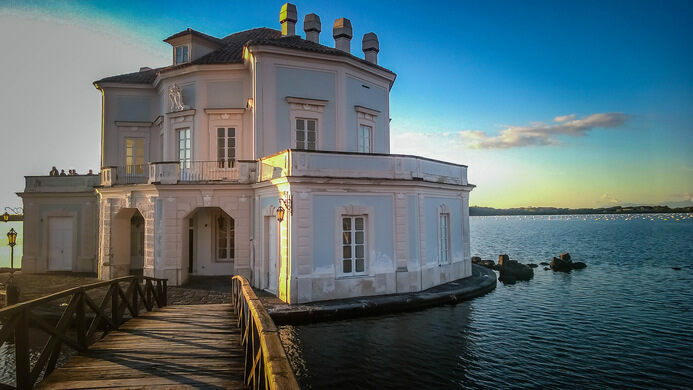 The Casina, or “cottage” is connected to the mainland by a wooden pier. A small garden stands across the bridge with various flower beds and a rich vegetation. The work of building the royal lodge was entrusted to (and named after) the architect of the Royal Caserta Palace, Luigi Vanvitelli, and later his son, Carlo Vanvitelli. The house was also used to host 18th-century luminaries such as Mozart, Rossini, and various kings, emperors and tsars. More recently it has been used as a movie set and the picturesque site of many weddings. Italy's "New Mountain" rose from the ground in a volcanic eruption in 1538.